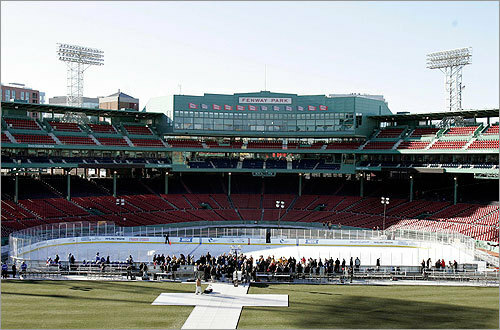 They turned Fenway into hell, and hell has frozen over. 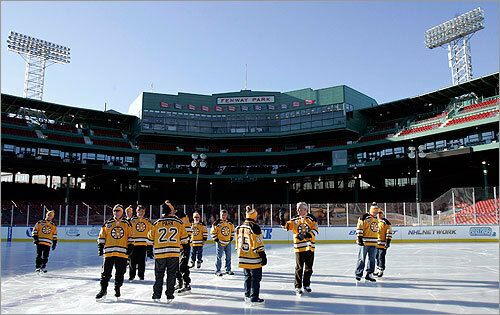 and by hell, I mean a venue for the worst sport ever... hockey. ok, maybe its not the worst sport ever, the two-man luge is, but still, this is the equivalent of turning the Sistine Chapel into a giant drive-thru Wendy's. Wait, that would be awesome. ok, nevermind. Fenway is being used for something other than baseball, which is like salt in an open wound given the last few months of baseball news. Look, they installed an outfield fence that even Ortiz can hit over! HIYO! "Hello all! 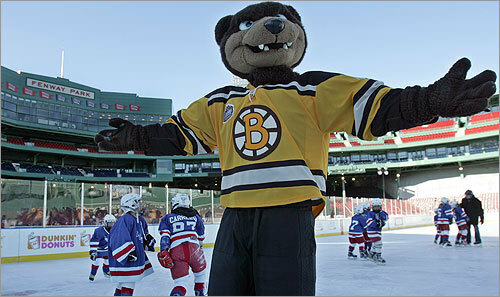 I'm Beary the Bruin. I am here to spread the good word of hockey. 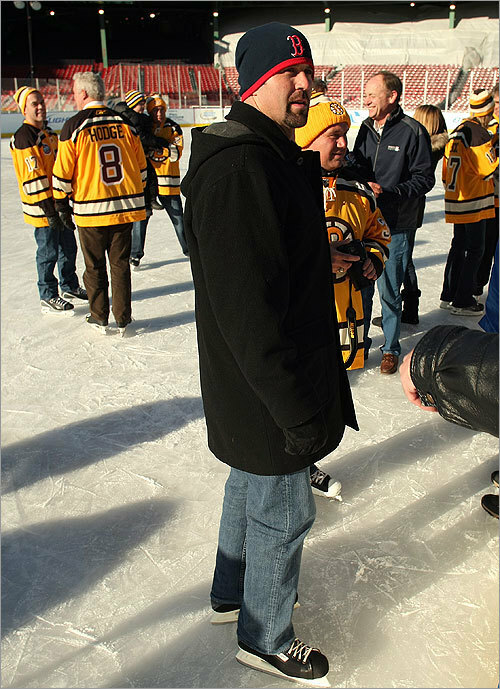 Now if you'll excuse me, I have an 8-year-old I have to go check into the boards." "Wow, this is much easier than putting on catchers gear. career change?" "Hey, anybody seen that Victor Martinez? I want to pull his shirt over his head and beat the snot out of him." 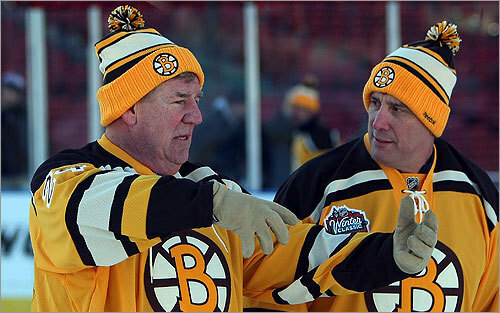 Terry O'Reilly: "Cam, I'm telling you, I was ice-fishing up in Winnipeg last weekend and I caught a trout so big that I had to hug it like this..."
Cam Neely: "Terry, you're full of sh*t. And I've told you a thousand times, my name is Sea Bass." "Gentleman, I think we took a wrong turn on Causeway Street."